Makoto Takamiya (S'98-M'00-SM'14) received the B.S., M.S., and Ph.D. degrees in electronic engineering from the University of Tokyo, Japan, in 1995, 1997, and 2000, respectively. In 2000, he joined NEC Corporation, Japan, where he was engaged in the circuit design of high speed digital LSI's. In 2005, he joined University of Tokyo, Japan, where he is an associate professor of VLSI Design and Education Center. From 2013 to 2014, he stayed at University of California, Berkeley as a visiting scholar. His research interests include the integrated power management circuits for wireless powering and energy harvesting for IoT applications, and the digital gate driver IC for power electronics. 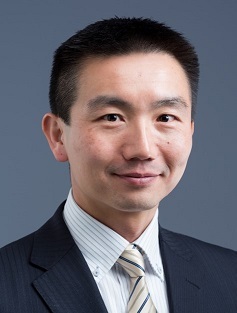 He is a member of the technical program committee of IEEE International Solid-State Circuits Conference (ISSCC) and is a Far East Regional Chair in ISSCC 2020. He is a Distinguished Lecturer in IEEE Solid-State Circuits Society. He formerly served on the technical program committees of IEEE Symposium on VLSI Circuits from 2009 to 2017 and IEEE Custom Integrated Circuits Conference from 2006 to 2011. He received 2009 and 2010 IEEE Paul Rappaport Awards and the best paper award in 2013 IEEE Wireless Power Transfer Conference. Copyright ©2017 Takamiya Lab. All rights reserved.